Question: is there any proof of the lock ness monster to be a extinked predater that survied extinctian ? Asked by dragon to Alex, Kate, Marcus on 26 Jun 2014. Hmmmm, I think that if the Loch Ness monster, or any of the other reported monsters in other lakes and lochs, did exist it would be a sea reptile, such as a pliosaur or mosasaur, that managed to survive the mass extinction all those millions of years ago. But there’s the hang-up; if it has survived from then there has to be be a number of them because a dinosaur isn’t going to survive millions of years! The loch monsters are possible because the lochs are connected to the sea, meaning that the creatures could live in the oceans and one could accidentally swim into the loch. Whilst there isn’t any definite proof that the monsters exist, I think it’s pretty cool that the possibility is there! Also, check out this website for some cool ancient sea monsters! Unfortunately there is no proven evidence for the existence of the loch ness monster! I’ve been to Loch Ness in Scotland and had a look myself! I used to wish it was true when I was younger as the idea of a trapped plesiosaur seemed so cool. The reason often people think the Loch Ness Monster (let’s call him Nessie for short) has a long neck is that he has been mistaken for other animals that are swimming. The only evidence there is is eye-witness statements and photos taken have been grainy and out-of-focus so mistakes can happen. 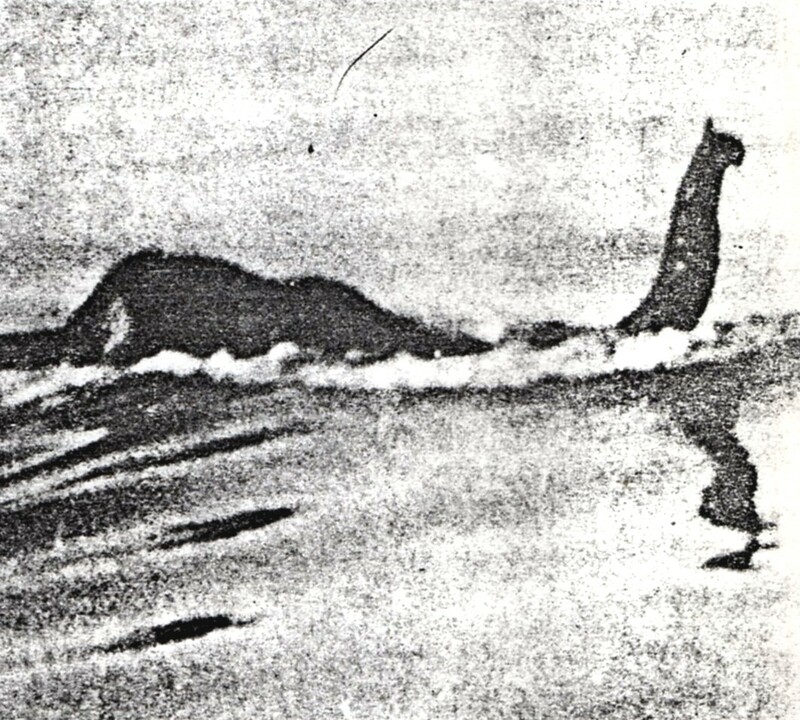 What do you reckon Nessie is? !